FIS World Cup Men’s and Women’s Giant Slalom and snowboard cross come to Bansko on the 26th, 27th and 28th January 2018. As always, there is a super atmosphere on these occasions. I especially enjoyed watching the snowboard cross last time. 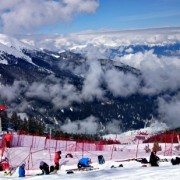 It is a testament to the skills Bansko now has in professional piste preparation over the years of hosting such events. 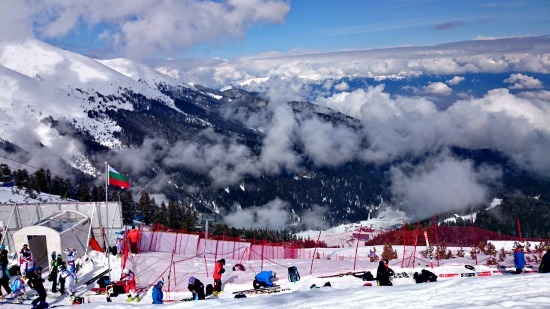 However, there is an obvious downside: The tomba black piste is shut for at least six days before the event to prepare the slope and the competition days also see another slope closed too. This confirms that the 12th / 13th / 14th to 20th January 2018 is probably one of the best times to come to Bansko for a week long trip. I think recommend anytime after 4th March as a nice quiet time. Of course February remains the most popular period and I’ll be updating school holiday schedule soon. As always the team here are ready to help you put your trip together, whether you’re a never-ever and need your hand holding to book your trip or you are an advanced skier or rider looking to get a group trip that you and your friends and family will enjoy. Live chat now open most days and messages answered typically within the day. for more event news as well as bar and restaurant openings be sure to subscribe too the bansko blog newsletter. Never ever any spam or selling your email address. I hate spam too.